According to Jewish folklore, Lilith was the first wife of Adam. She was banished from the Garden of Eden when she refused to make herself subservient to Adam’s sexual requests. When she was cast out of the Garden, she was made into a demon, and Adam was given a second wife, Eve, who was fashioned from his rib to ensure her obedience to her man. Where Adam was created from dust, Lilith was created from filth and sediment. Primitivo refuses to be submissive to the oenology that it is the same grape as its close relative Zinfandel. Many subscribe to this idea, though they are both mutations of Crljenak, a Croatian varietal. 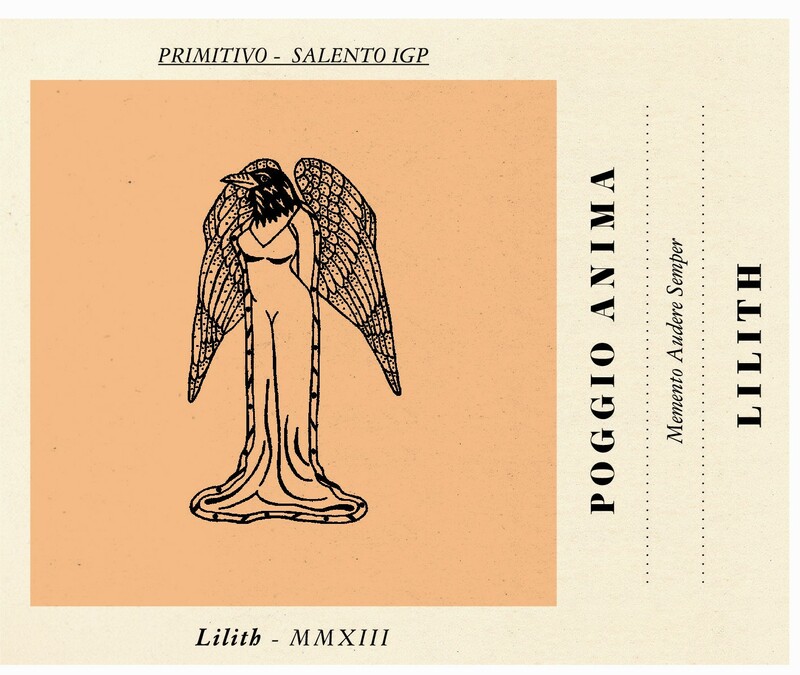 Primitivo always brings plenty of flesh and ripeness to the table with a solid spine of certainty and structure. This is the fifth vintage that the Primitivo hails from a vineyard in the Puglian heel dividing the Adriatic & Ionian seas. Here the proximity to the sea is everything with the winds acting as an air conditioner maintaining cooler afternoon highs than areas to the north. The area is primarily planted to Negroamaro but because of the extremely poor fertility in the soil select rows of Primitivo ripen well here, though yields are quite small. Like most of Italy, the ‘heel’ got blasted with heat. That said a mild spring promoted an early budding seemed to be a good thing but a nasty frost wreaked havoc reducing yields by 30-40%. A few months later mother nature reared her head again with a relenting furnace blast for much of the latter part of the summer. The grapes are certainly higher in sugars than usual but have nicely balanced acid and tannin. The grapes were destemmed and gently crushed with fermentation carried out in stainless tanks and a small percentage sees rotofermentation to soften the 'sweet & sour' notes often seen with Primitivo. After the primary ferment, the wine undergoes an extended maceration of 20 days, after which it is racked into 15% new French barriques where the malolactic fermentation occurs followed by aging for seven months. Opaque ruby. Smoked meat, dried cherry, cracked pepper, and cassis on the deeply scented nose. Medium to full-bodied with berry cobbler flavors showing a liqueur-like intensity with an anise note coming up with air. The smoke and cassis notes carry through on the finish, which features dusty tannins. A wine of real intensity and concentration given the price point.